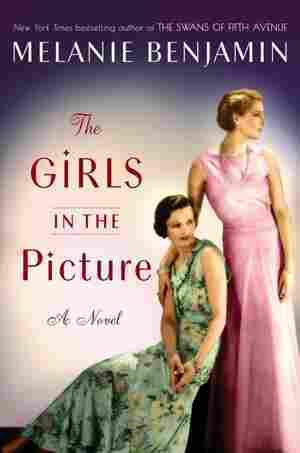 The Girls in the Picture NPR coverage of The Girls in the Picture by Melanie Benjamin. News, author interviews, critics' picks and more. An intimate reimagining of the powerful creative partnership between Hollywood superstars Frances Marion and Mary Pickford traces their friendship and boundary-breaking achievements against a backdrop of pre-World War I Hollywood. January 17, 2018  A century ago, Hollywood had no stars. Movies were silent and the actors were anonymous. Melanie Benjamin's new novel outlines how actress Mary Pickford and writer Frances Marion changed that. “Are you sure this is a good time?” I patted my long skirt, sneezing as reddish-brown California dust came flying out of it, and touched my head to make sure my cartwheel hat was still pinned into place. Oh, if only I could have brought my sketches! But the Santa Anas had been too fierce this morning. They would have blown my sketch folder right out of my hands, and of course I didn’t own a car, so I’d had to take the trolley, and I had no idea what number to telephone to postpone the appointment—and I wouldn’t have done so anyway, not for the world. So I’d had to leave my sketches behind, and I felt as if I’d misplaced a baby, so used was I to having something in my hands—a sketchpad, a diary, a book, knitting. Restless hands, Mother had always scolded. Daughter, you have restless hands to match your restless mind. Still no sound from behind the closed door, until gradually I became aware of a whirring, clicking, mechanical noise. Owen Moore—Mary Pickford’s devilishly handsome husband—patted his smooth, rosy cheek. On his delicate white hand, a ruby ring twinkled from his pinkie. I had to bite my lip to keep from laughing. What a ridiculous dandy! “I didn’t, actually. Ask.” Shifting my feet, I tried to find a stance that showed my disapproval but didn’t offend him. I couldn’t stand Owen Moore from the moment he’d sidled up to me at the party, flashing that ruby ring, and I loathed him even more now. To talk that way about his own wife! He was just another small man afraid of an intelligent woman—the world was full of such fools. Yet my future was held in this particular fool’s overmanicured hands. “You would,” Owen said with a sneer; he had not liked it when I turned down his advances at the party, but still, he’d managed to get me the invitation I coveted. With one last exaggerated grimace of disgust, he turned. “I’m wanted on set, so you’ll excuse me.” Then he stalked off toward the “set”—whatever that was. Left alone, I had to pinch myself; I’d never been in a movie studio before. Studio. That was quite a fancy word for what was really a collection of flimsy barns and sheds, so obviously hastily built I was surprised they were still standing in the force of today’s winds. When I’d arrived, I’d given my name to a disinterested man, makeup visible behind his ears, who served as a sort of a gatekeeper. After consulting a list, he told me to go inside the largest of the sheds to wait for Owen. This shed was a maze of rooms partitioned so haphazardly that there seemed to be no real hallway. From one corner of the cavernous building I could hear hammers assaulting nails and saws chewing through wood; from another, violins scratching out “Hearts and Flowers.” Bare lightbulbs swung from long, fraying cords. Shouts rang out from every corner; cries to “Watch that flat!” or “Are the damn Indians shooting craps again?” or “Is Sylvia wearing that costume we need for Lita’s dream sequence?” Outside, through windows and open doors that let in enough dust to coat every surface a quarter-inch thick, I glimpsed a row of tall cubicles, each with three walls but, oddly, no ceiling save a gauzy sheer fabric draped over some ropes, like a canopy. Each was done up in a different fashion—a living room, a bedroom, a western saloon, a Victorian dining room. In front of some of these cubicles, where the fourth wall should have been, clusters of people huddled around a man diligently cranking one single camera. Next to the camera, men or women clutching megaphones bellowed directions as people with ghostly painted faces—pale, almost white skin tinged with an undercurrent of yellow, but dark, dark eyes and mouths—moved about stiffly in the odd ceilingless rooms illuminated only by the reliable California sun. Owen had headed out a door toward one of the cubicles; could that be the “set”? “Hey, are you an outsider?” A man, barely taller than me, poked me on the shoulder. “What are you here for?” He narrowed his eyes, and I blushed as if I’d been caught trespassing. Were normal people not allowed in movie studios? Had Owen been toying with me? Was this revenge for rebuffing him? “To see—to see Miss Pickford?” I detested the question mark in my voice, but this young man, despite his short stature, looked capable of picking me up by the scruff of my neck and tossing me outside to be swept away by the hot wind like the rest of the trash. The boy took another step toward me, but I held my ground, although I did grip my reticule in case I needed to clobber him over the head with it. The boy’s eyes were blue and hard and not a little bit menacing—until I detected a gleam dancing behind them. The promise of mischief, perhaps? That dancing light won out; his face relaxed. Suddenly, he was no longer a menacing thug but a laughing leprechaun with a surprising dimple in his cheek. “Well, okay, then. I guess you’ll do. Mary’s in there.” He stabbed a finger toward the closed door. Odd; this boy had acted much more protective of Miss Pickford than her own husband had. For when you got right down to it, Owen Moore had no idea who I really was, or what my intentions might be. “Owen!” The boy grimaced. “So, Miss Outsider. You like it here?” He jerked his thumb in the general direction of the set area. “Yes, yes, I do!” I surprised myself with this answer. But I did like it here, chaotic and strange as it was. I had suspected—hoped—that I would, but even so, hearing it out loud, in my own voice, was stunning. It was as if I’d agreed to dive headfirst into a shallow pond. The first time I’d heard the word, it was used to describe people and not those flickering, mesmerizing images on a screen. We don’t take no movies here, landlady after landlady told me when I’d first arrived in Los Angeles two years ago. “What’s a movie?” I’d ask, bewildered. “You know, them people running all over the place with those cameras, makin’ those flickers. Those movies. You’re not one of them, are you?” Always a suspicious, squinty-eyed glare as I attempted to look as un-movie-like as possible, because I desperately wanted the room. Still, the back of my neck twitched and I thought, for a moment, of answering in the affirmative; how appallingly prejudiced these landladies were! “No, I’m not a movie,” I’d confess, practicality winning out over solidarity with the downtrodden. “Fine, fine, then you can rent the room,” and I’d be allowed to inspect such modest abodes, baldly furnished with dusty, moldy Victorian furniture and threadbare oriental rugs, that I had to marvel that the owner could afford to look down on anyone, let alone one of the mysterious movies. Mother, especially, pleaded for me to stay put. I refrained from reminding Mother that my husband—husband number two, a number that definitely stung and so was best not mentioned—was being sent to Los Angeles to open up a branch of his father’s steel company, and it was my wifely obligation to accompany him. It wasn’t that I was exactly thrilled about moving; I loved San Francisco. I loved its hills, its stately new buildings springing up from the earthquake just eight years before, its museums, its theater and opera houses, the determined genteel quality, even if most of its residents were only a generation—or less—removed from the gold rush. But the instant I disembarked from the train in Los Angeles, I was enchanted. Far from being a barren cow town, the place seemed drenched in color, crimson and gold and purple and white flowers spilling out of every window box, embracing every streetlamp. I couldn’t stop gazing at the tall pepper trees, with their languid, lacy green leaves dripping with clusters of red berries, providing much-needed shade from a sun that rarely found a cloud behind which to hide—something this native San Franciscan thought she would never find tiresome. Orange groves dominated the mountainous landscape that sloped to the beckoning sea, the air so perfumed that I immediately craved the sweet, tangy fruit that I’d never really cared for before. Everywhere I walked I encountered quaint little squares lined with the small adobe-style homes I’d seen in pictures of Mexico; colorfully tiled fountains centered the squares and people would lounge about, napping or reading or simply relishing being outdoors in shirtsleeves in the middle of February. At first, this drowsiness seemed to embody the town to me, threatening to lull me into a dreamy slumber as well—sleepwalking through a marriage to a man I didn’t know, nor, I now realized with exceptionally bad timing, did I care to. Dutifully I sketched away at my job, doing commercial art for an advertising agency, but it was rote now, not at all challenging or fulfilling—how many different ways can you depict a necktie? After the initial enchantment wore off, it seemed to me that I’d come to Los Angeles to sleep my way through a disappointing life I didn’t remember choosing. Sometimes I’d try to rouse myself with a good old-fashioned scolding. What happened to your early ambition to create, to make something lasting, something worthy, my dear? Weren’t you going to be the next Rembrandt or Chopin? Weren’t you going to set the world on fire? Make your mark, cast a big shadow? Stupidity, my dear; that’s what had happened. Two—not just one, but two—impetuous marriages I could chalk up only to youthful idiocy; I was seventeen when I married for the first time, twenty-two the second. Every time I encountered a setback on the road to becoming the next Rembrandt or Chopin, I blindly said “yes” to the first person who asked. Yet as soon as I’d mumbled “I do,” I immediately rebelled. I had no desire to be a conventional society wife to the conventional society husbands I found myself married to. But for the life of me, I couldn’t figure out what I wanted to be instead—oh, I couldn’t figure out anything, do anything other than fall into miserable marriages in order to put off, for a time, doing or figuring out anything—it all went round and round and managed to dull my early ambition until its edges were harmless and easy for a confirmed sleepwalker like me to ignore. In the evenings, after a silent meal with the stranger I’d married—truly, I’d stare at Robert, his features still so unfamiliar to me that after two years of sharing a bed I would have been hard-pressed to sketch him from memory—I would lean over the windowsill. Dreamily, I’d inhale the perfumed air, feel the warm breeze carrying salt from the ocean, gape at the beauty around me, but even so, none of it roused me; none of it reached my soul. That remained dormant, waiting. For someone—or something. “All right, bring on the cops!” I heard someone shout. Frustrated, I pushed my way to the front of the crowd, only to stop and stumble backward. Right there in the middle of the normally busy street stood a man barking through a megaphone, while another man turned the handle of a camera perched atop a wobbly tripod. I glanced around nervously; it was as if I’d stumbled upon something unlawful, perhaps. Like a bank heist. And maybe I had; most of my fellow onlookers wore grim, disapproving expressions as they glared at the spectacle playing out in front of them. Suddenly a gaggle of men in rumpled police outfits burst onto the scene, skittering around a corner and toward the camera, jumping about, falling down on their behinds, slapping one another with nightsticks. In the middle of the wide, unpaved street stood a narrow gate. Only the gate, no fence. And to my glee, instead of running around the gate—the obvious visual effect—the policemen fumbled with the latch, then patiently took turns spilling through the now-open gate, one by one. The smallest of the police, a slight young man with curly black hair, didn’t simply tumble through the gate; he leaped into the air, turned a somersault, and landed on one foot, the other leg extended in a stunningly graceful arabesque. I couldn’t help it; I clapped wildly. The little man whirled toward me; I could see his eyes gleaming impishly. He tipped his hat, wiggled his nose, and hitched up his baggy pants—then dashed after the rest.